Most everyone’s heard of a ‘lemon law’. Designed to protect consumers from defective products, lemon laws often require automakers to buy back a bad vehicle (a lemon). If, for example, a vehicle under warranty has a problem that can’t be repaired after a few attempts (often 3 or 4), and/or spends more than a certain amount of time awaiting repairs (typically 30), it can be designated a lemon. The vehicle manufacturer must then offer to buy back the lemon (you can learn more about how lemon laws work here). These lemon laws are on the books in every state in the USA, and they’ve been used by thousands of people to effectively “undue” the purchase of a poorly manufactured vehicle. However, automakers are trying to bypass these lemon laws by piggybacking on to mandatory arbitration clauses hidden in most dealership vehicle purchase agreements. Not only is this practice common (almost all dealers have mandatory arbitration clauses in their contracts), but it’s also being used to limit consumer’s rights to participate in class action lawsuits. Basically, automakers are offering consumers a false choice: If you want a new car, you have to agree not to sue us. If you don’t want to forgo your legal right to sue, than you can’t buy a new car. Arbitration is generally a very good thing for consumers. Unlike court action – which can take years and costs hundreds of thousands of dollars (or more), arbitration often only requires a token investment of a few hundred dollars – an amount that is refunded at the end of the proceeding if the consumer wins. While consumers can consult with or hire an attorney to represent them in an arbitration proceeding, arbitration doesn’t offer require hiring an attorney. A consumer just needs to make their case, present their paperwork, and wait for the arbitrator’s decision. Automakers like arbitration too, for many of the same reasons. Arbitration is much more affordable (and much faster) than a traditional legal proceeding. This means lower costs for automakers trying to dispute a lemon law claim, and these lower costs ultimately help keep new vehicle prices down. However, not all arbitration proceedings are equal. Automakers and dealers often specify which arbitration firms will be used in a proceeding, and that’s a problem. After all, it’s easy to imagine that some arbitration firms will error on the side of their corporate clients in an effort to secure more work in the future. What’s more, some arbitration proceedings place a great deal of emphasis on record keeping and documentation…two areas where consumers often come up short. The point? Arbitration can be stacked against the consumer, especially when the arbitration firm is specified by the automaker or auto dealer. The worst part is that arbitration is often mandatory. When you buy a new car, the contract often includes a mandatory arbitration clause. If you’re not willing to adhere to the clause, you can’t buy the car. 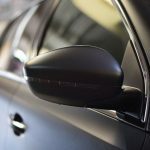 In addition to forcing consumers to use an arbitration firm of the dealership or automaker’s choosing, most mandatory clauses also strip away a consumer’s right to participate in a class action lawsuit. Specifically, many mandatory arbitration agreements are binding. This means that a consumer can not go outside of the arbitration process to get financial relief for being wronged by the automaker. If, for example, the automaker lies about a vehicle’s fuel economy rating (as Ford has recently done), or has a major safety flaw that lowers resale values, consumers would have to individually begin arbitration proceedings to get restitution…a step most consumers are unlikely to take. Effectively, this means that an automaker can avoid class action lawsuits…and while that’s good for automakers, it’s arguably very bad for consumers. Without the threat of class action, automakers have little to fear from making disingenuous product claims, failing to account for all but the most obvious safety risks, etc. If you’re concerned about binding, mandatory arbitration clauses, the very best thing you can do is talk to your state legislator. State lawmakers can unilaterally make this problem go away by making mandatory arbitration clauses illegal. Additionally, supporting legal advocacy groups like Public Justice and Public Citizen can help make sure this issue (and others like it) are publicized.